Frank McNamara came up with the idea of the credit card when he went out to supper with a dinner partner. His partner forgot his wallet, and that gave McNamara the idea for the credit card. His idea was that you would have a card that would be accessible at all times with money on it. 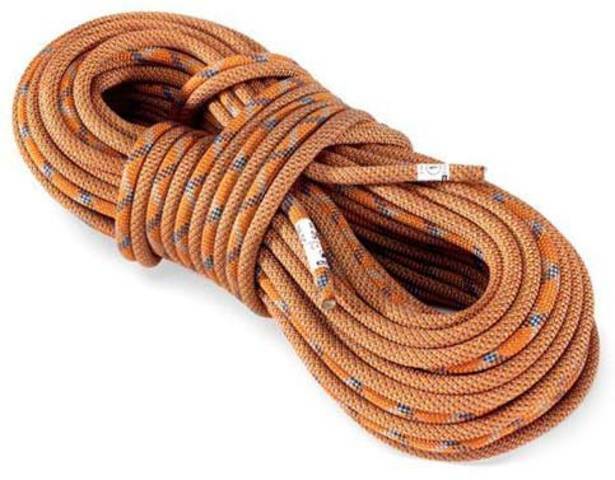 Without this, many more people would have the same problem as Frank's friend. 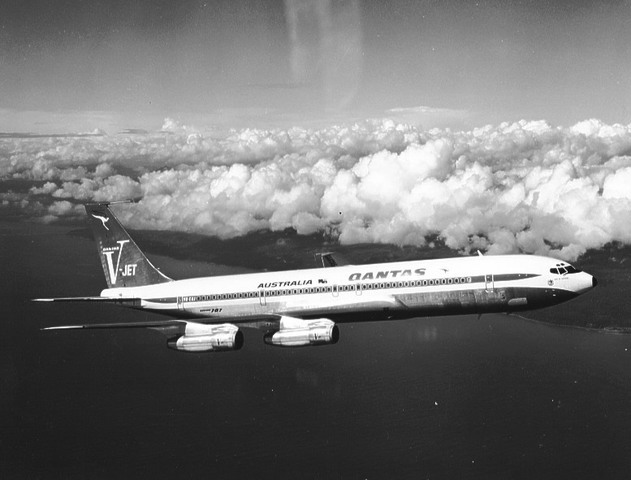 in the 1950's, passenger jets entered the service. American airlines ordered the pioneering Comet, but Canadian, British and European airlines could not ignore the better operating economics of the Boeing 707. Boeing became the most successful of the early manufacturers. 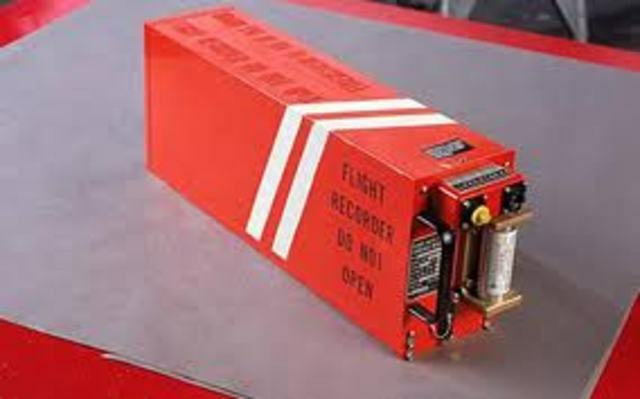 The "black box" was a flight recorder. It was designed to record the flight crew's conversation. The purpose was to help identify the reason if a plane crashed or caught on fire. 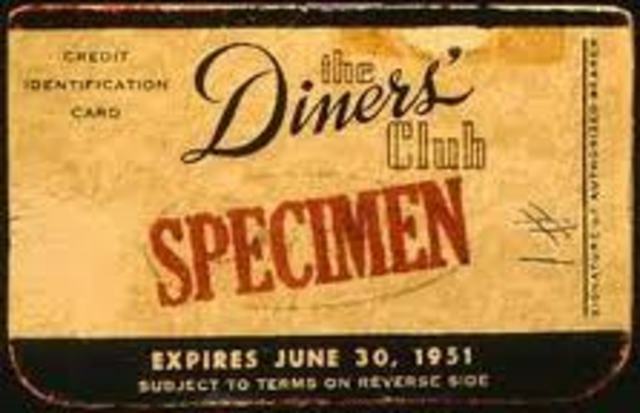 In the early 1950's R.S. Ohl discovered that sunlight striking a wafer of silicon could produce large numbers of free electrons. In 1954 three scientists, Gerald Pearson, Calvin Fuller, and Daryl Chapin, created an array of several strips of silicon placed them in sunlight, captured the free electrons and turned them into electrical current. This was the first solar battery. Polypropylene is a thermo plastic wire used in a variety of applications. It is in thermal under wear, ropes, packaging, and more. It is also used in insulating wire. The theory behind one of the most sucesseful inventions of the 20th century was the hovercraft. It was originally tested in 1955 using an empty KiteKat food tin inside a coffee tin,an industrail airblower, and a pair of kitchen scales. 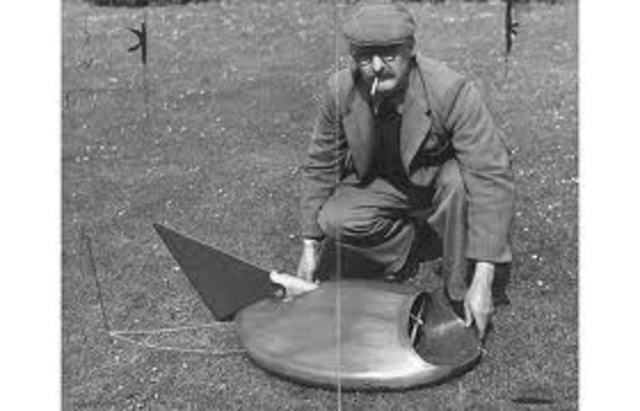 Sir ChristopherCockerell developed the first practical hovercraft designs. 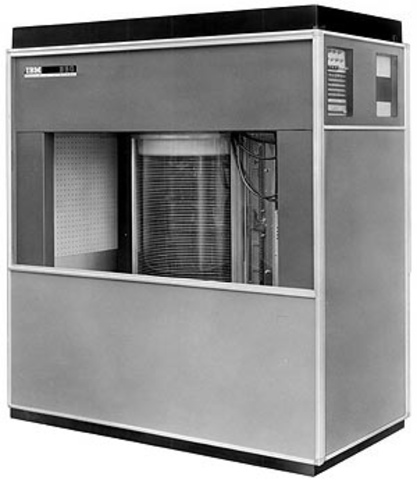 In 1956, the first computer hard disk was used. The drive held 5MB of data at $10,000 a megabyte. 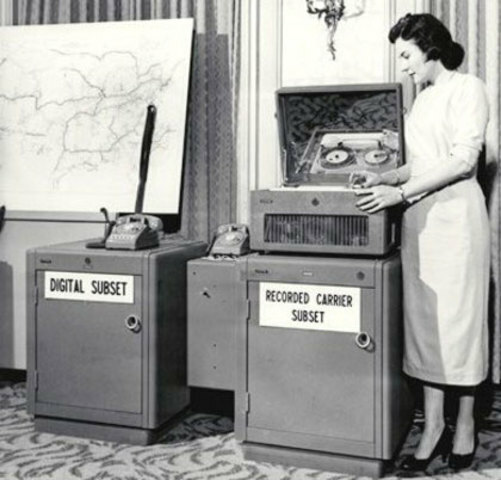 The system was as big as two refrigerators and used 50 24-inch platters. 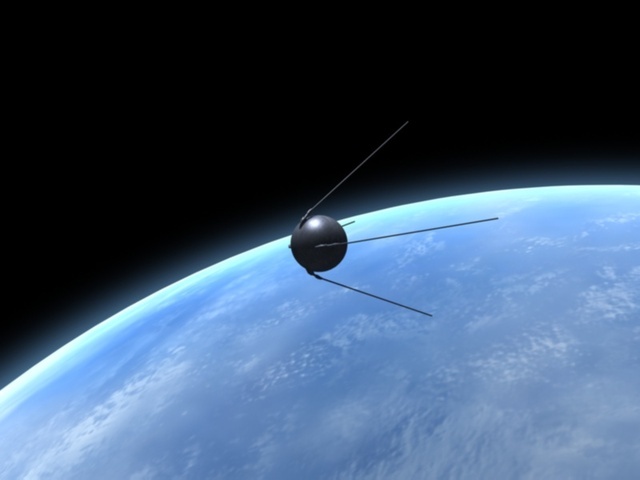 The satellite Sputnik was the first artificial satellite successfully placed in orbit around the Earth from the USA. This was during the space race between the US and the Soviets. Sputnik was visible from the ground at night. Digital modems developed from the need to transmit data for North American air defense during the 1950s. Modems were used to communicate data over the public switched telephone network. A modem sends and recieves data between two computers. Two separate inventors, unaware of each other's activities, invented almost identical integrated circuits or ICs at nearly the same time. 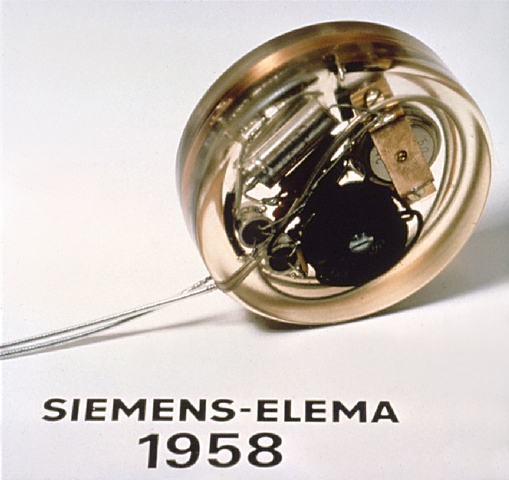 The integrated circuit placed the previously separated transistors, resistors, capacitors and all the connecting wiring onto a single crystal. In 1961 the first commercially available integrated circuits came from the Fairchild Semiconductor Corporation. 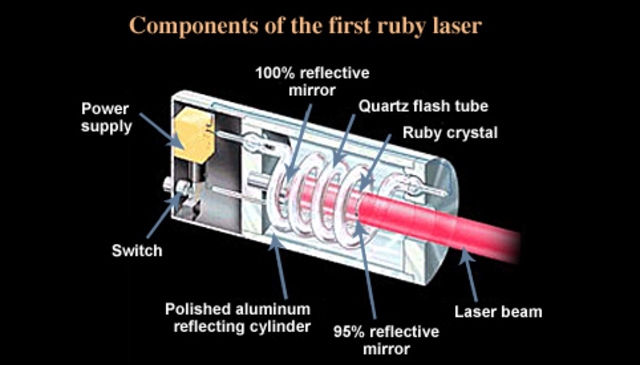 The name LASER is an acronym for Light Amplification by the Stimulated Emission of Radiation. In 1917 Albert Einstein theorized about the process which makes lasers possible called "Stimulated Emission". In 1954, two scientists invented the maser, which was a similar invention but did not use a visible light. John Hopps invented the first cardiac pacemaker. If a heart stopped beating due to cooling, it could be started again by artificial stimulation using mechanical or electric means. However, this was too big to be implanted into the human body. So Wilson Greatbach made a smaller one.